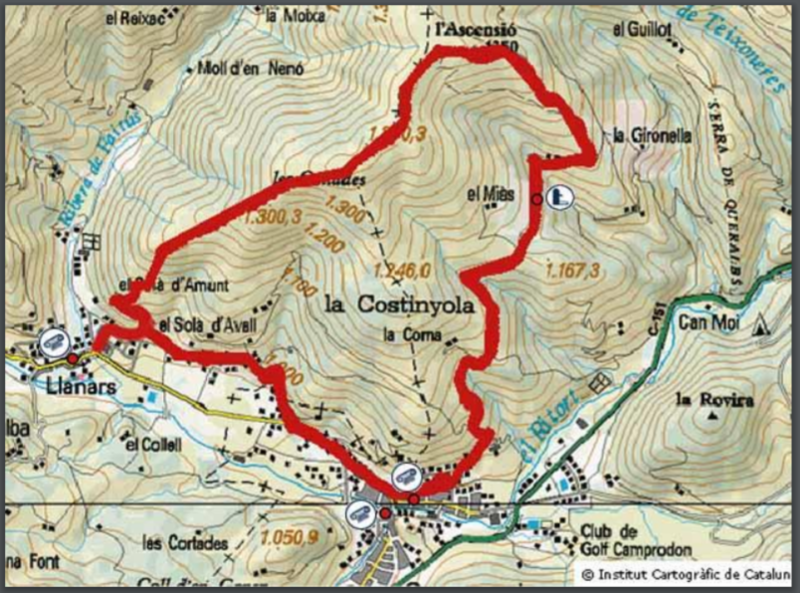 Vall de Camprodon is THE place for hiking! 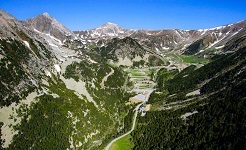 Indeed, it is located near the Pyrenees, which means mountains and great panoramic views. 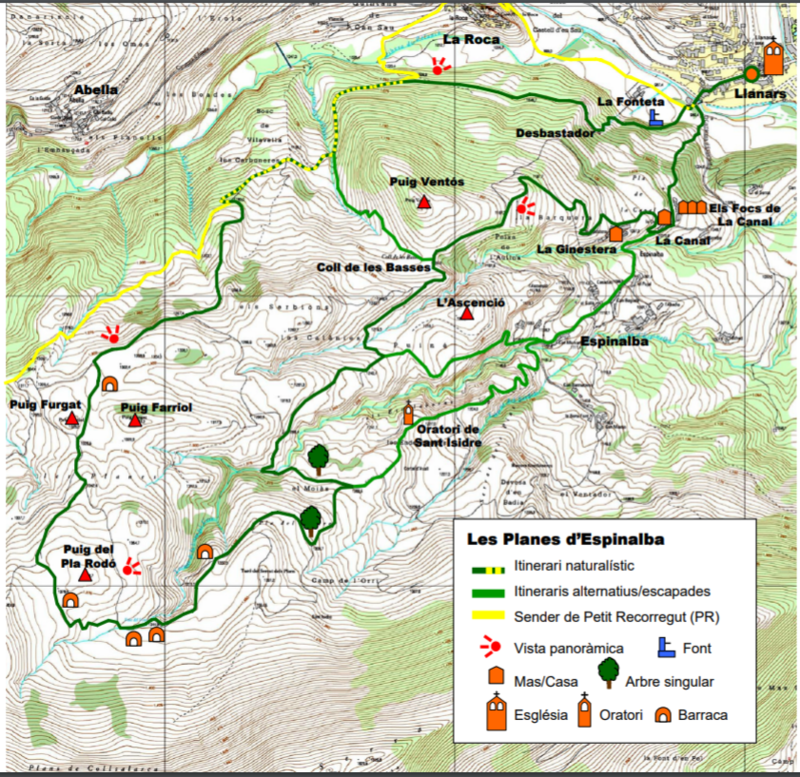 There is hiking trails for different experience levels and a lot are accessible for children. This trail takes about 2 hours and 45 minutes of hiking, on a different level. You will enjoy the different plants and nature all around you. An educative trail if you want. Don’t forget to ask the tourism office or the front desk of our hotel in Llanars for more information. Who said you needed a car to go to Camprodon? Enjoy a nice hike of almost 3 hours from Llanars to Camprodon. The trail is starting right behind our familial hotel Grevol, going up the mountains (don’t worry, the overall elevation is 350 m) , ending up in Camprodon. From there, you can enjoy a visit of the city full of history. You will find at least three horse riding club around Llanars. The closest is Centre Hípic Mas Batlló, which proposes different activities according to your level. Children can enjoy a pony ride, accompanied by an adult. If the whole family is fond of horse riding, this club also offers routes from the mountains to the sea, ranging from day packages to a package of an entire week. More information here. You also have the Centre Hípic Aventures a Cavall, which offers different activities. Your children can enjoy a week of pony riding, including classes, excursions and games (4 hours in the morning, from Mondays to Fridays) or an initiation. For the older ones (from 10 years old), you can enjoy 1 to 4 hours excursions by horse or a 2 days ride. See all the information about the club here. Luckily in this area, you have two golf areas. 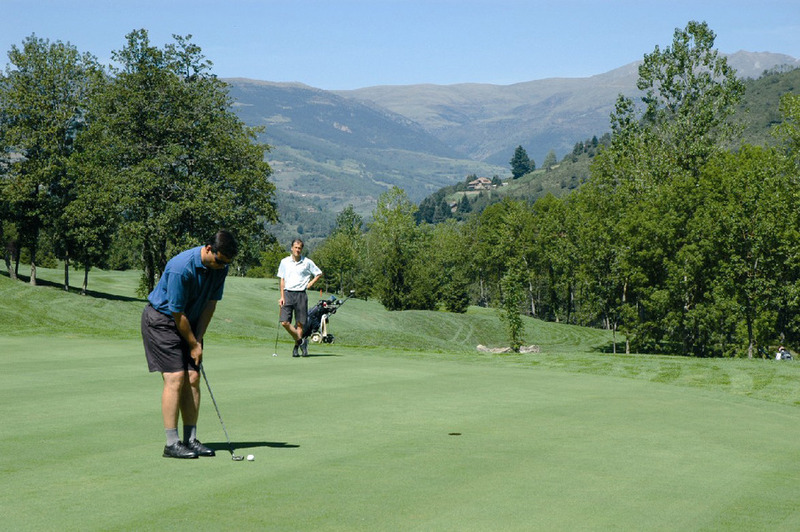 The classic golf course open for quite experienced players, can be completed in 9 or 18 holes. Hotel Grevol has a partnership with this golf course, so go to the front desk to enjoy a special discount. To have a good time, if you are not a great golfer, a mini-golf is located in Font-Rubi. Enjoy a nice time with your family there! You can also have lunch or dinner here (be sure to book it in advance). Who said mountains weren’t fun during spring? Come to Vall de Camprodon and enjoy the fresh mountain air with your family. Discover our family offer in our hotel for family in Llanars!